While trying to fix an Apple iPhone 3G stuck at boot logo because of a corrupt baseband, I frequently encountered "iPhone 3G (WTF Mode)" error in redsn0w never seen before (as shown below). The older redsn0w version which worked well with this old hardware (Apple iPhone 3G) showed no solution to the problem but thankfully the newer one pointed at the right direction. 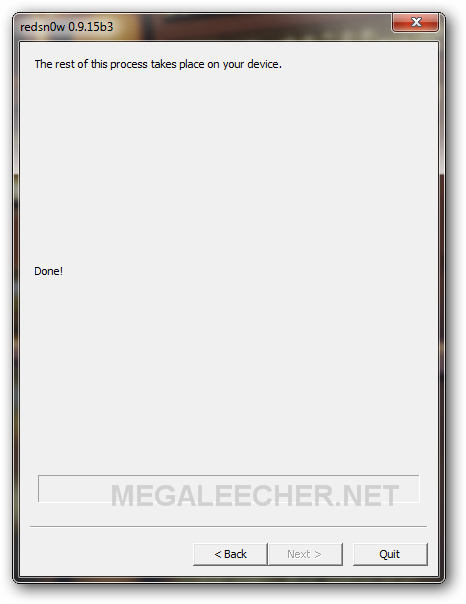 The solution to get out of the WTF mode is to correctly follow steps and make your device enter Pwned DFU mode - http://www.megaleecher.net/redsn0w_pwned_DFU. Ironically, while the newer redsn0w version does not behaves very well with the older iPhone 3G; it features the ability to get rid of this mostly iPhone 3G specific "WTF mode" problem automatically. As shown in the image below, the newer redsn0w version 09.15b3 shows the solution to change preference to get your phone automatically exit WTF mode. i did exactly what u say. 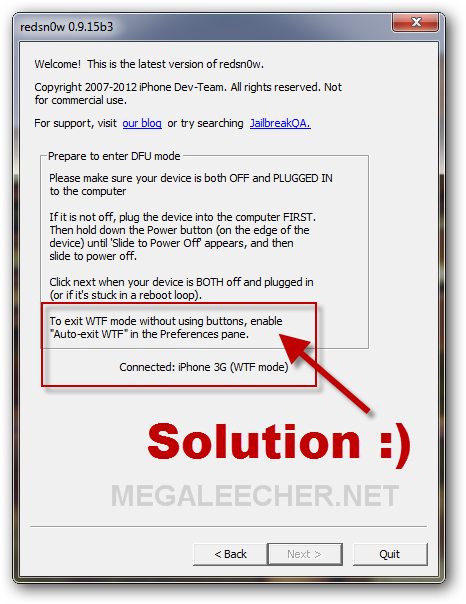 But when i checked "auto-exit..." and i clicked "jailbreak" redsn0w showed me: USB CONECCTION ERROR! or somethin like that. When i checked the "Auto-exit WTF mode" the NEXT tab was not activated to click on. How do I make it active to click on please? Just go back into extras and click Pwned DFU mode and you're good to go, so far for me. this doesnt work at all. i check the box and then when i goto enter pwn dfu it starts telling me to press buttons still! redsnow has now permanently locked my phone into WTF mode!!!!!! WTF PROBLEM BROKEN POWER B..